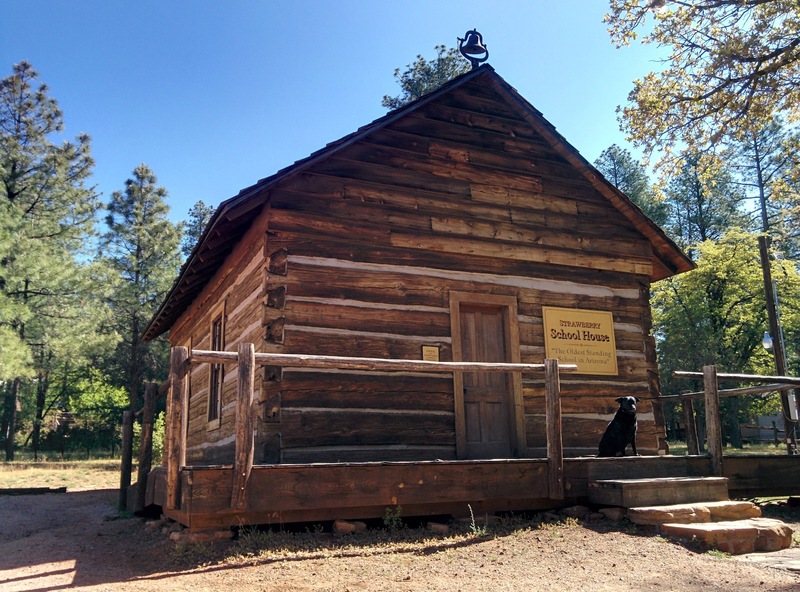 While camping and exploring along the Mogollon Rim we were relatively close to the town of Strawberry, AZ. Since a couple of our supplies were running low we decided to head down into town and pick up those few items. Rolling into town we spotted one of those brown signs with white lettering informing us that a historic schoolhouse was “right down that road over there a bit.” Since we make it a point to support any local economies we spend time in by eating their food and drinking their beer we decided to also take the opportunity to immerse ourselves in some local lore and headed towards the schoolhouse. 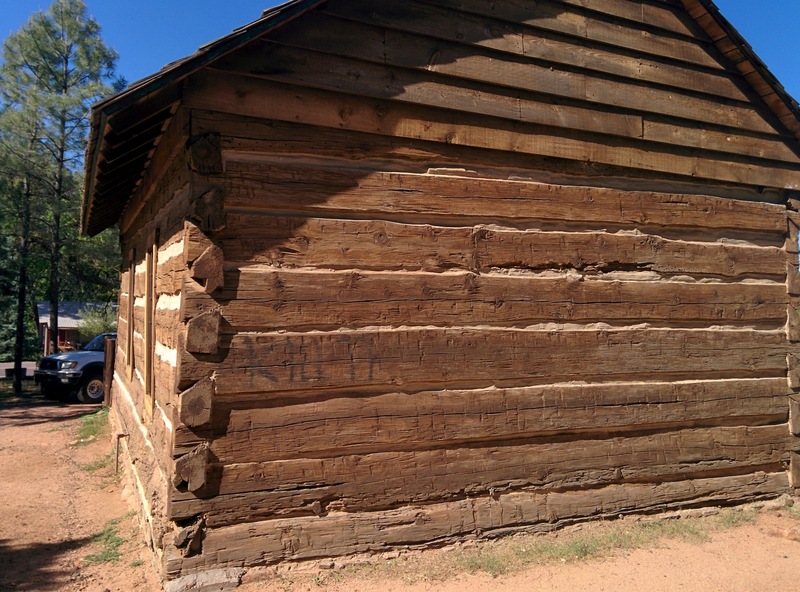 The first thing we noticed is that, unlike the log cabin on Hunter Mountain this building had the mortar between the logs to seal out the elements and give us a good idea what the Hunter Cabin might have looked like back when it was in regular use. 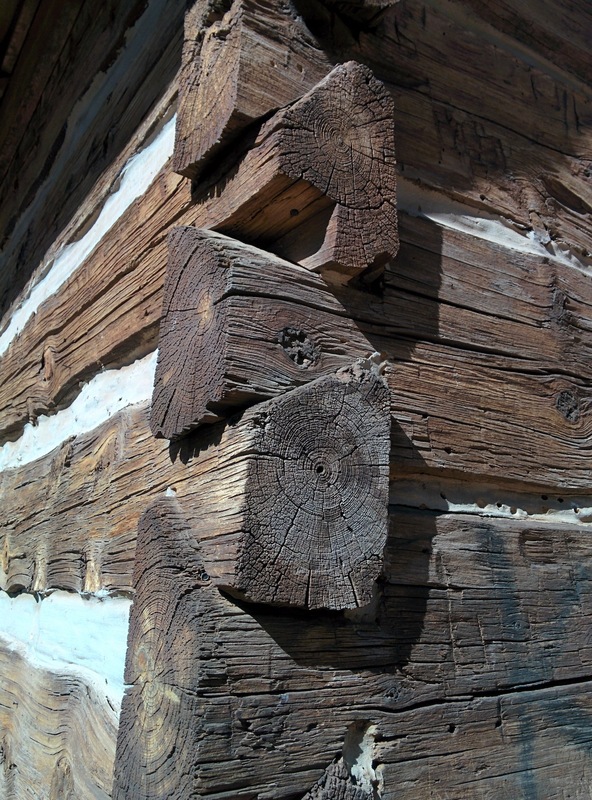 The second thing we noticed was the nice, solid joinery between the logs at the corners. The schoolhouse was closed and we didn’t want to bother calling, making an appointment and waiting around to be given a tour so we just peeked in the windows at the room with its old school desks and set up to look like a typical one room schoolhouse of the late 1800’s. 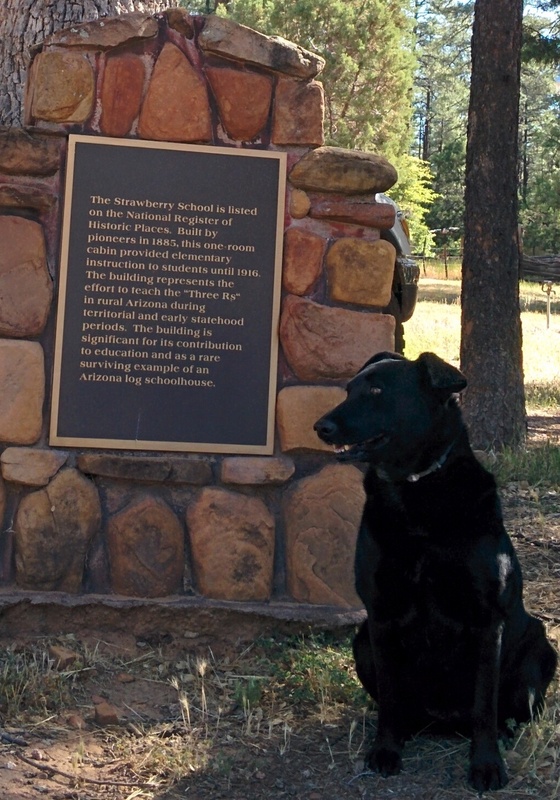 Before we left I had Willow sit next to the plaque out in front for a quick picture. After this quick bout of learnin’ we headed back into downtown Strawberry to pick up the few items we needed and then headed back up into the Forest and our camp along the Rim.